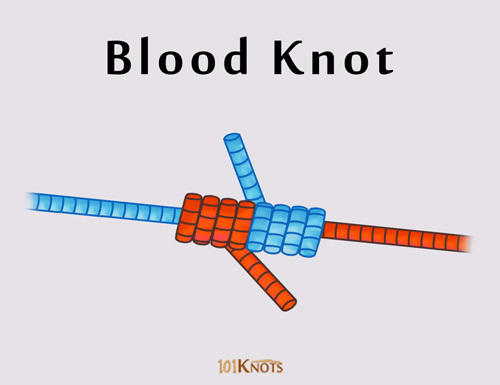 The blood knot, also known as the double blood knot, joins two fishing lines of similar sizes like different sections of the leader or tippet. It has a breaking strength of around 83%. Its name originated from its use on the business end of a Cat o’ nine tails whip. Note that the tag ends are at right angles to the line. 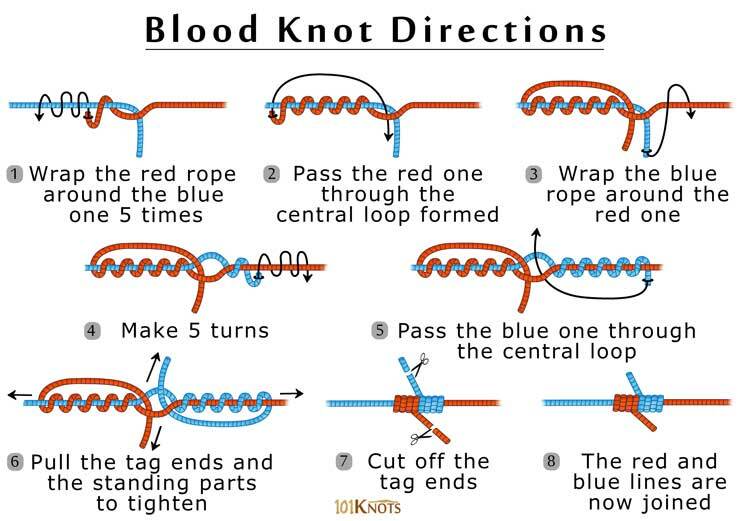 If you find it hard controlling the tippet ends go for the easier, faster speed blood knot. Though not a true blood knot, it has approximately the same strength. It can join a leadcore to the leader. Improved blood knot – Fares well in connecting a thicker line to a thinner one. For example a heavy shock material to a lighter class tippet. Half blood knot – For attaching a fishing hook to the line. It can also join a line to a snap, swivel or lure. For leader to tippet and line to leader connections. Double surgeon’s knot – Slips less though weaker. J knot – Slightly more powerful albeit difficult to tie. Double uni– Stronger for braided lines. Uni knot – Sturdier and less unwieldy. Uni to uni – Retains around 90% of the line strength making it more robust. Albright knot – Joins lines of different diameters. Nail knot– Unites varying diameter lines. Also used in carp fishing versus the blood knot’s use in fly fishing only.